Norwegian handball players of Larvik HK, Gro Hammerseng and Anja Edin retired from professional handball last summer. They have experienced plenty together both on the court and in their civil life. Gro Hammerseng has always shared her life with women. Her previous partner was Finnish-Norwegian handball player Katja Nyberg, but after their 2010 breakup Gro fell in love with another colleague of hers, Anja Edin. Anja is 3 years younger than Gro, and while Gro is one-time Olympic and three-time European Championship gold medalist, Anja “only” won an Olympic bronze and a European Championship silver medal. Gro retired from the Norwegian national team when they decided to have a baby, and in 2012 Mio was born at a Danish clinic. The father’s identity remained unknown. The couple has shared their lives not only at home, but at the “workplace”, too. Gro had been playing for Larvik HK for 2 years when Anja’s contract with Storhamar Håndball expired, so it was obvious that she joined the most successful Norwegian team, too. Being together both at home and on the court didn’t cause tension between them, they have been happily together for more than 7 years now. 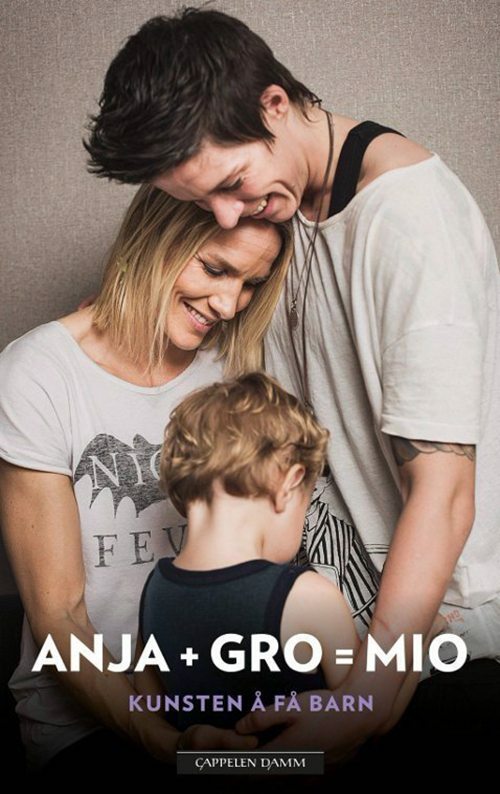 The couple married in 2013 and in 2014 their book was published with the title Gro+Anja=Mio. The birth of Mio opened a new book in their family life. Gro had been longing to be a mother for a long time and Anja has supported her in every possible way. The reason of their retirement is also in connection with their desire to spend as much time with Mio as possible instead of constantly attending trainings and matches. They haven’t shared information about whether their family welcomes another baby or not, but we wouldn’t be surprised if Mio had a baby sister or brother in the future.